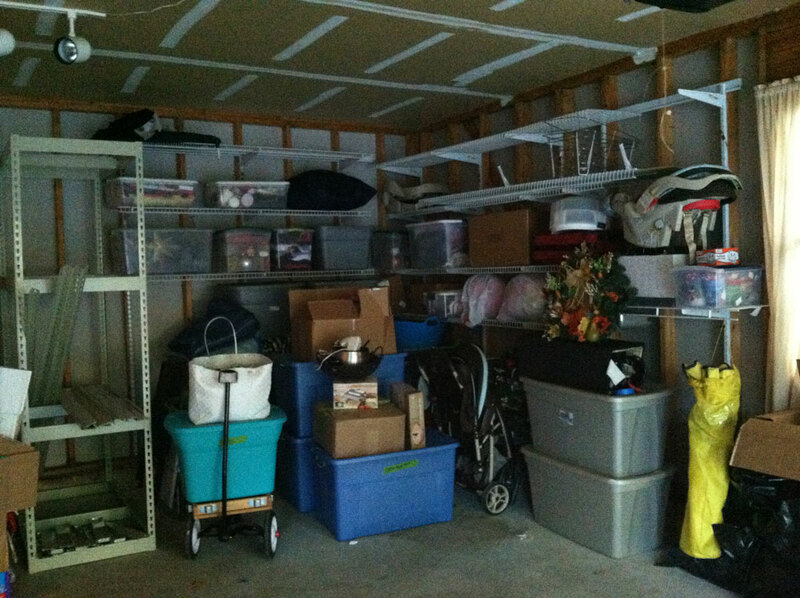 When the Norman family moved into their new home, they needed help taming their garage. 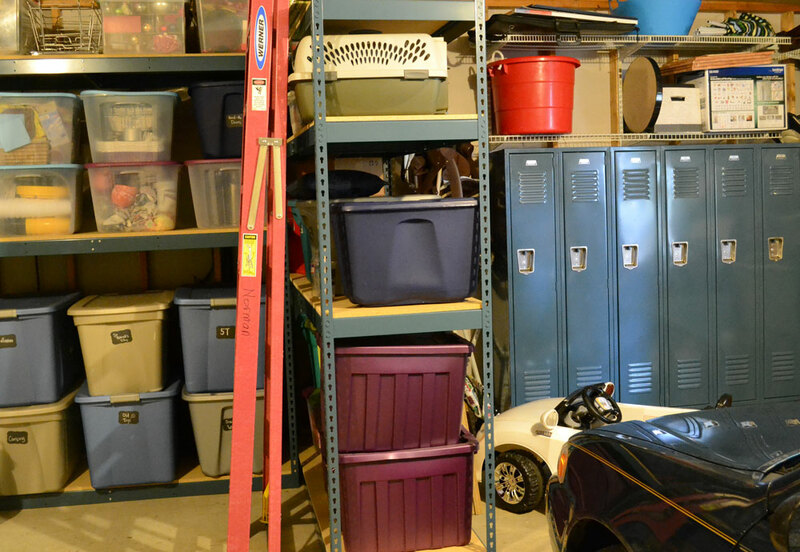 The two-car garage included wire shelving across the back and side walls, but the shelving couldn’t support the large bins they wanted to store. In its original state, the Normans were unable to pull their cars into the garage due to space limitations. See the photo on the right for a “before” photo of their garage. To make the garage function as they wished, they’d need sturdier shelving and a solution for their sports paraphernelia. Lockers Unlimited offered three products to meet their needs, including a tool unit, two heavy-duty shelving units and a row of six lockers. 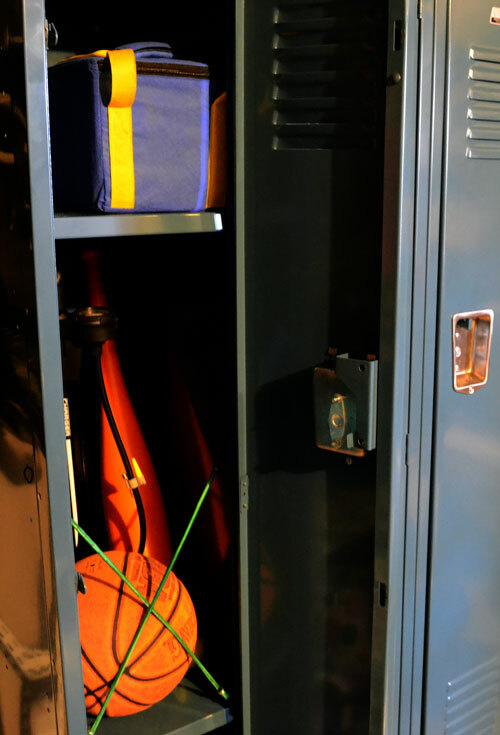 Mr. Norman’s favorite feature of the new organization is the row of lockers, where he is able to store his sports equipment, golf clubs and other sports paraphernelia. Mrs. Norman appreciates the ability to securely lock up chemicals and other dangerous supplies from reach of their daughter. 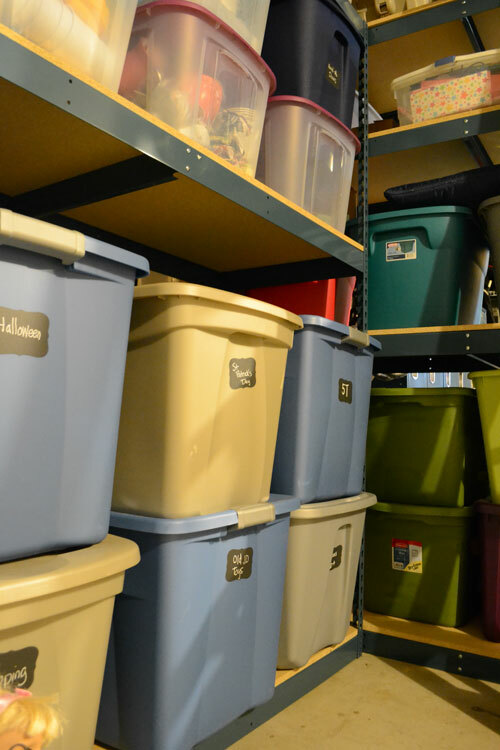 The six lockers include interior shelves, clothing hooks and rods for seasonal outdoor equipment. Lockers Unlimited offers new and salvaged locker solutions. To learn more about new lockers, click here. To browse the current salvaged locker inventory, click here. Heavy-duty shelving can be configured to many shelf heights and variable numbers of shelves. The shelves can be easily adjusted as needed without special tools. Shelves are available in 48″ to 96″ wide beams and are available in 84″ or 120″ heights. The double-rivet construction and particle board decking create extremely durable, strong shelving that can hold more than 500 pounds.